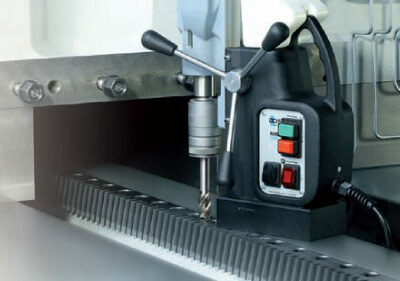 Drill up to 2-1/2″ dia. & tap up to 15/16″ dia. With a 3/4″ chuck (left, Part No. 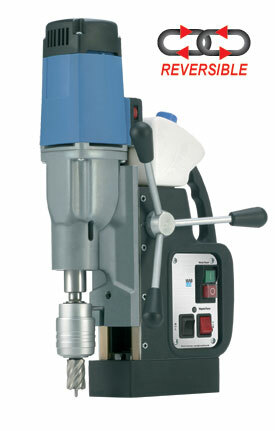 IBC 21), or MT3, this model easily converts to a standard drill press with a 5″ stroke for conventional twist drills. Twist Drill Capacity 1″ dia. Magnetic Force (1″ plate) 8000 lbs.